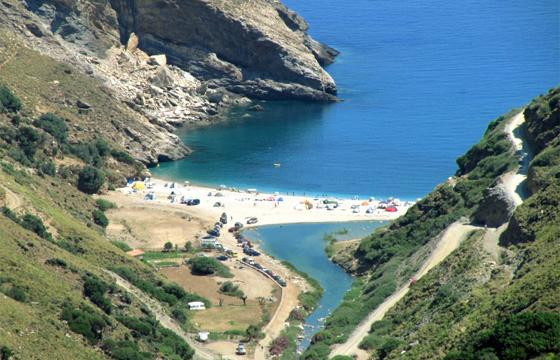 Agios Dimitrios (or Schinodavlia) is an amazing secluded beach in southern Evia! In order to arrive here, visitors must walk down a path that begins from the village of Agios Dimitrios and heads south, towards the sea. Nature has been so generous with this place: a wide variety of plants, a river, a wet land with rare species of birds, and imposing rocks, astound visitors. The lovely sandy beach lies under huge rocks and it is very impressive!